This time last year we suggested a chilling little ghost story, Guy de Maupassant’s Le Horla, to curl up with for Halloween. This year, it’s the turn of the film club. 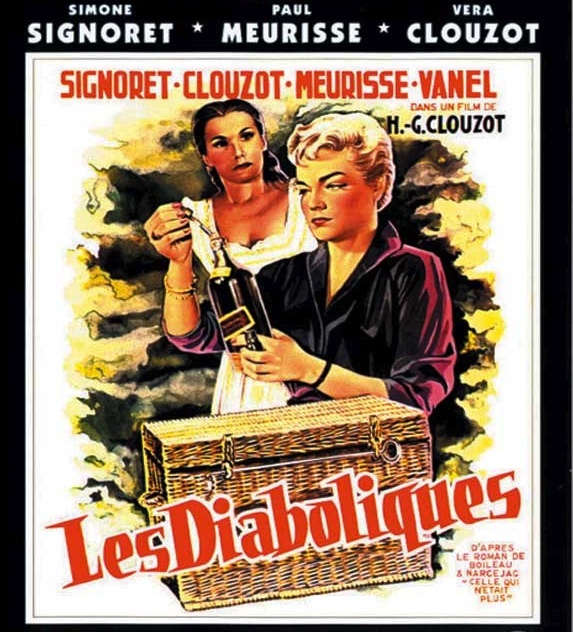 Les Diaboliques is a classic French chiller from 1955, based on a tale by the same French crime-writing duo who wrote Hitchcock’s Vertigo, another unsettling splice of the murder mystery and the ghost story. 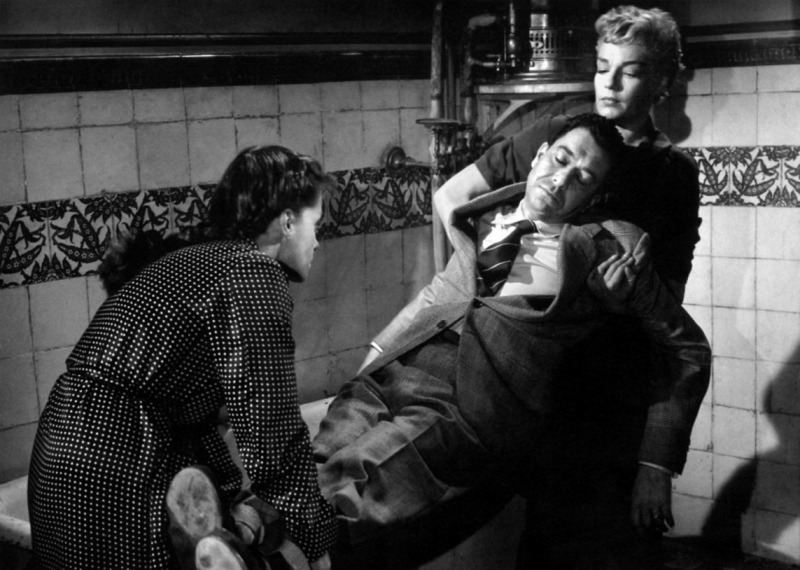 Apparently, Hitchcock missed out on getting the film rights to the story by a matter of hours, as the French director Henri-Georges Clouzot snapped them up as soon as they became available. Lured away far from the school, Michel is sedated by the two women and then drowned in a bath-tub. They then drive the body back to the school and dump it in the murky, leaf-covered swimming pool, with the intention of claiming an accident when the body finally bobs to the surface. It’s then that things get seriously strange. One of the schoolboys says he’s seen Michel on the school grounds. A school photo is taken, and a pale shape can be seen in the window behind the assembled children, a shape that looks like a face. Like Michel’s face. 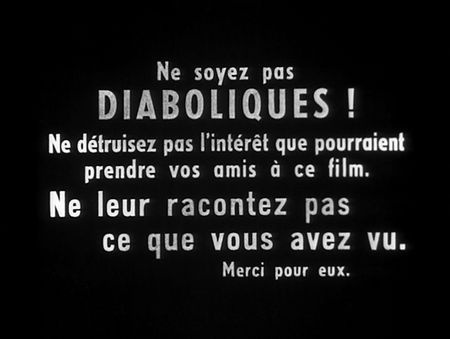 Les Diaboliques is a creepy classic that always features in lists of the best scary movies ever made. It’s ideal for a dark and lonely night around Halloween. Just make sure you avoid the American remake with Sharon Stone which is, ahem, diabolical. Right, it’s time for another Adventures on the Bookshelf quiz! This one is all about faux amis. Below are two dictionary definitions. The red one is from a French dictionary, the blue one is from an English dictionary. Your job is guess the words being defined. The twist is that the French and English words are both spelled the same way, even though they mean completely different things. Petit animal domestique carnassier, à pelage de couleur variée souvent noir ou gris, se nourrissant de souris, de petites proies, et de la nourriture servie par ses maîtres. Talk in a friendly, informal way. So, if you could work out a little of the gist of the French definition (the whole thing translates as: ‘Small carnivorous domestic animal, with variable fur colour, often black or grey, which eats mice, small prey creatures or food given by its owners’), you might have got that it’s a cat, or ‘un chat’ in French, which is a faux ami for the English verb, ‘chat’, meaning… to talk in a friendly, informal way! Ten questions below. No peeking at the answers until you’ve had a go at all of them. Time starts now! Numéral cardinal. Quinze plus un. Qui se lave insuffisamment ou mal; qui manque de propreté. A period during which a shop sells goods at reduced prices. Susceptible de conséquences étendues, de suites fâcheuses, dangereuses. A hole dug in the ground to receive a coffin or corpse, typically marked by a stone or mound. Composante prédominante du corps humain ou animal, essentiellement constituée des tissus musculaire et conjonctif. A separate seat for one person, typically with a back and four legs. Endroit dans lequel un footballeur doit envoyer le ballon pour marquer. Conjunction used to introduce a clause contrasting with what has already been mentioned. Préposition. En échange de, en remplacement de, à la place de. Flow rapidly in a steady stream. Partie d’une cuisinière qui sert à la cuisson des aliments. Even number, less than ten. Highly unpleasant physical sensation caused by illness or injury. Arbre à feuilles persistantes longues, étroites, vénéneuses, d’un vert très sombre, à baies rouges, qui est utilisé comme arbre d’ornement dans les parcs, les jardins, les cimetières. Conjunction introducing a conditional clause. Organe terminal du bras, formé d’une partie élargie articulée sur l’avant-bras et terminé par cinq doigts. Chief in size or importance. 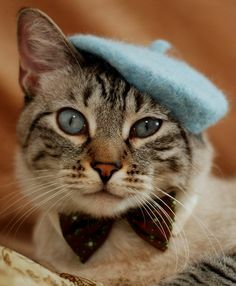 Answers below the French cat! Like this? Try our fiendish odd-one-out quiz as well! You might have seen online or in the news recently that Oxford has released some sample questions from our admissions interviews. We’re trying to make the process by which we select our students from the many excellent candidates who apply to us as clear and understandable as possible. We’re also trying to set straight anyone who thinks an Oxford interview typically involves being asked whether you’d prefer to be a satsuma or a grapefruit (with reasons), or being asked to throw a brick through a window, just to see if you open it first. Neither of these, I hasten to assure you, has any part in our selection process! Rather, our questions are straightforwardly based around what you’ve told us in your sample schoolwork and UCAS statement, and what we’ve told you are our selection criteria for the particular course you’ve applied for. Modern languages candidates: What is language? Helen Swift, of St Hilda’s College, said: ‘Although I would never launch this question at a candidate on its own, it might grow out of a discussion. ‘Students sometimes say they like studying Spanish, for example, because they “love the language”. ‘In order to get a student thinking critically and analytically, the question would get them to consider what constitutes the language they enjoy – is it defined by particular features or by function (what it does)? I’ve also talked about modern languages interview questions before here, and there’s lots of information about our whole admissions process, including UCAS forms and personal statements, under the ‘Applying to study modern languages’ category of this blog. 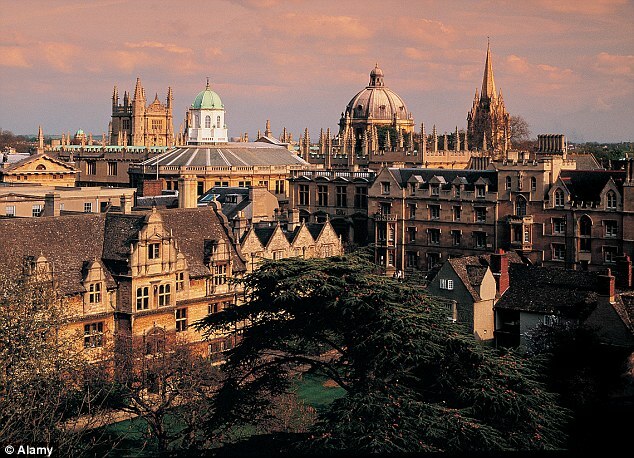 The questions have been released to mark the deadline day for students to apply to study at Oxford University next year (15 October). Students applying for PPE (Philosophy, Politics and Economics) might be asked about the ethics and economics of bankers’ bonuses, while aspiring engineers might be asked to explain the physical forces that determine whether a ruler stays balanced or topples over when slid along their fingers. ‘We emphasise in all our outreach activity that the interview is primarily an academic conversation based on a passage of text, an object, a problem set or a series of questions relating to the course the applicant has applied for,’ says Dr Samina Khan, Director of Admissions and Outreach at Oxford. ‘But interviews will be an entirely new experience for most students, and we know many prospective applicants are already worried about being in an unfamiliar place and being questioned by people they have not met. We want to underscore that every question asked by our tutors has a purpose, and that purpose is to assess how students think about their subject and respond to new information or unfamiliar ideas. We hope that seeing some of the less obvious questions will reassure prospective applicants that tutors simply want to see how students think and respond to new ideas – we are not interested in catching students out. Dr Khan adds: ‘It’s important to remember that most interviews build on material students will have encountered in their studies or touch on areas candidates mention in their personal statements. They might include a logic problem to solve for a subject like mathematics, and we will often provide candidates with material to prompt discussion – for example a piece of text, an item to examine, or an image. It is often best to start responding by making very obvious observations and build up discussion from there, rather than assuming that there is a hidden meaning or a highly complicated answer you have to jump to immediately. Q: Why is income per head between 50 and 100 times larger in the United States than in countries such as Burundi and Malawi? Brian: The question is focused on perhaps the most important economic question there is: why are some countries rich and some countries poor? As with most economics questions, there is no simple or unique answer. Candidates need to think about all the potential reasons why such income gaps exist. A good starting point is to think about whether the amount of capital and technology available to workers in different countries is the same and if not, why not? US workers are much more productive because they have access to the best technology – the US is at the technological frontier. But why do poor countries not just buy the same technology and be as productive? Possibly, the education levels are too low to allow for the use of such technology or perhaps there are insufficient savings to purchase the technology or the infrastructure might not exist. Good candidates should recognise that institutions matter a lot – respect for property rights and the rule of law appear to be pre-requisites for sustainable development. Other factors might include trade restrictions by the rich world on poor countries exports, civil wars, disease (e.g. AIDS, Malaria) etc. The trick is to think widely and not try and fit the answer to some lesson that has been learnt in school. Q: Do Bankers deserve the pay they receive? And should government do something to limit how much they get? Brian: This is a very topical question in light of the recent financial crisis. A simple answer might be that since banks are generally private firms and workers are free to work where they wish, then the pay they receive is just the outcome of a competitive labour market. In this story, bankers earn a lot because they are very skilled and have rare talents. It is hard to see a reason for government intervention in this case – though on equity grounds one may want to have a progressive income tax system that redistributes some of this income. A good candidate would wonder why it is that seemingly equivalently talented people can get paid so much more in banking than in other occupations. Do we really believe that bankers are so much better than other workers in terms of skill? An alternative story is that the banking industry is not competitive and generates profits above what a competitive market would produce. This would then allow workers in that industry to share some of those profits and so earn much more. In this case, there is a role for government intervention – making the market more competitive. The key point about this question is trying to get candidates to think about the economics of pay rather than just whether they think it is fair or not. Q: Why is sugar in your urine a good indicator that you might have diabetes? Rob: This question builds on general knowledge and material studied at school in biology and chemistry to assess how students approach a clinically-relevant problem. It’s commonly known that diabetes is associated with sugar (glucose) in the urine; this question asks students to think about why this occurs. Students have usually have learnt that the kidneys filter blood to remove waste products, such as urea, that must be eliminated from the body but many other useful substances which must not be lost – including glucose – are also filtered. Given that glucose is not normally found in the urine, students are asked to speculate as to how it can all be recovered as the urine passes through the kidney’s tubules. The process involves reabsorption by a carrier protein that binds the glucose molecules and moves them out of the renal tubule and back into the blood. Students should appreciate that, in binding glucose, the carrier will share properties with enzymes, about which they will have learned at school: the capacity to reabsorb glucose is finite because once all of the carriers are working maximally, no further glucose reabsorption can occur. A successful applicant will make the connection that an elevated level of glucose in the blood in diabetes leads to increased filtration of glucose by the kidneys and saturation of the carriers that perform the reabsorption, resulting in ‘overspill’ of glucose in the urine. Q: Imagine that 100 people all put £1 into a pot for a prize that will go to the winner of a simple game. Each person has to choose a number between 0 and 100. The prize goes to the person whose number is closest to 2/3 of the average of all of the numbers chosen. What number will you choose, and why? Nick: I like this as a question for experimental psychology because answering it brings in a range of skills relevant to the subject. Partly it involves numerical and analytical skills: the question implies that the answer will be 2/3 of some other number, but which one? Some people’s first guess is 2/3 of 100, i.e., 66 or 67, in which case I’d ask them what numbers everyone else would have to pick for them to win. In this case, everyone else would have to choose 100, which is unlikely. More often people first guess 2/3 of 50 (33), which seems intuitively more likely. At this point, and usually without prompting, the recursive nature of the solution becomes clear: If there is good reason for me to choose 33, then maybe everyone else will choose 33 too, in which case I should choose 2/3 of 33… but then everyone will think this and choose 2/3 of 33 too, so I should choose 2/3 of that number.. and so on. Assuming everyone thinks like this, then everyone will eventually settle on 0 as their choice – this is the formal ‘game theory’ solution. At this point, I’d ask questions that bring out the candidate’s broader reasoning skills in terms of thinking how we could define what it is rational to do in this game. Game theory gives one definition of rationality, but does it give a plausible winning answer – that is, is it likely that everyone, all 100 of them, will go through exactly the thought process we’ve just described? If not, is 0 really a rational answer? The question also has a psychological angle in thinking about reasons for people’s behaviour and choices: Will everyone put in the same effort? Will everyone be motivated to win? When I’ve used this question in live audiences, sometimes people say they’d pick the number 100 just because it’d throw a spanner in the works for everyone playing the game rationally. How should this affect your choice of answer? What if the stakes were increased so that everyone put £1000 into the pot at the start? What’s clear from all of this is that we’re not looking for a single answer. Rather, we’re interested in seeing how people think through a problem, figure out what are the relevant factors, respond when new information is provided, and so on. Q: Place a 30cm ruler on top of one finger from each hand. What happens when you bring your fingers together? Steve: This would never be the opening question in an interview – we usually start with a first question that gives the candidate an opportunity to get comfortable by discussing something familiar. We then ask more technical questions based on material in the GCSE and A-level syllabi. This question would come later in the interview, when we present candidates with an unfamiliar scenario and ask them to use what they know about familiar concepts (such as friction) to explain something. Almost everyone in this example will expect the ruler to topple off the side where the finger is closest to the centre to the ruler because they expect this finger to reach the centre of the ruler first. They then complete the ‘experiment’ and find both fingers reach the centre of the ruler at the same time and the ruler remains balanced on two fingers. We like to see how candidates react to what is usually an unexpected result, and then encourage them to repeat the experiment slowly. This helps them observe that the ruler slides over each finger in turn, starting with the finger that is furthest from the centre. With prompting to consider moments and friction, the candidate will come to the conclusion that moments mean that there is a larger force on the finger that is closest to the centre of the ruler. This means that there is more friction between the ruler and this finger and therefore the rule slides over the finger furthest from the centre first. This argument will apply until the fingers are the same distance from the centre. The candidate should then be able to explain why both fingers reach the centre of the rule at the same time as observed. In some cases, particularly if we have not done a quantitative question already, we might then proceed with a quantitative analysis of forces and moments. We might even discuss the fact that the coefficient of static friction is higher than the coefficient of dynamic friction and therefore the ‘moving’ finger gets closer to the centre than the static finger before the finger starts to move over the other finger. Q: Can archaeology ‘prove’ or ‘disprove’ the Bible? Alison: Candidates in my subject come from a wide variety of backgrounds and qualifications, so we generally try to tailor the interview questions to the individual according to what they have on the UCAS form or wrote about in their submitted work, in order to find out whether they have a genuine interest in the subject area and an aptitude for the course. French is a growing language. There are currently 220 million French speakers in the world. By the year 2060, there may be 760 million. A recent study that claimed French would be the world’s most widely spoken language by 2050, overtaking Spanish, English and Mandarin, may have been a bit over-optimistic. 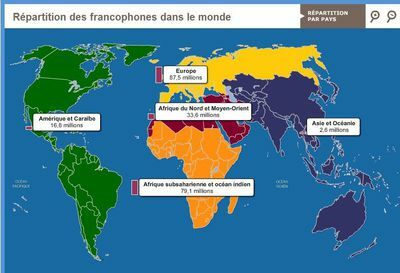 Nevertheless, the number of French speakers around the world is growing sharply, especially in francophone Africa. As L’Express discussed in a recent article, population growth and increasing levels of education in Africa are an important factor in the growth of the language in countries where it is the official language, as well of countries where it plays a mediating role between several local languages, or serves as the language of administration, business and the media. According to the Observatoire de la langue française, there are likely to be 715 million French speakers in the world in 2050, which is 8% of the expected global population of nine billion. This is then forecast to increase to 760 million francophones by 2060. This may well cause it to creep up the rankings of global languages from its current fourth place, behind English, Spanish and Mandarin Chinese. The centre of gravity of the French language is also shifting southwards. 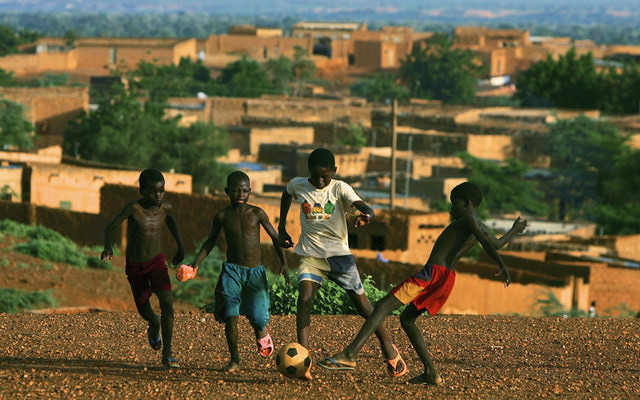 In 2050, 85% of French speakers will be in Africa. That figure rises to 90% of young people aged 15-29, given the starkly different demographics of the European and African continents. The future is definitely francophone, even if it’s not necessarily French.